My sweet tooth definitely has developed more over the years, to the detriment of my waist line. 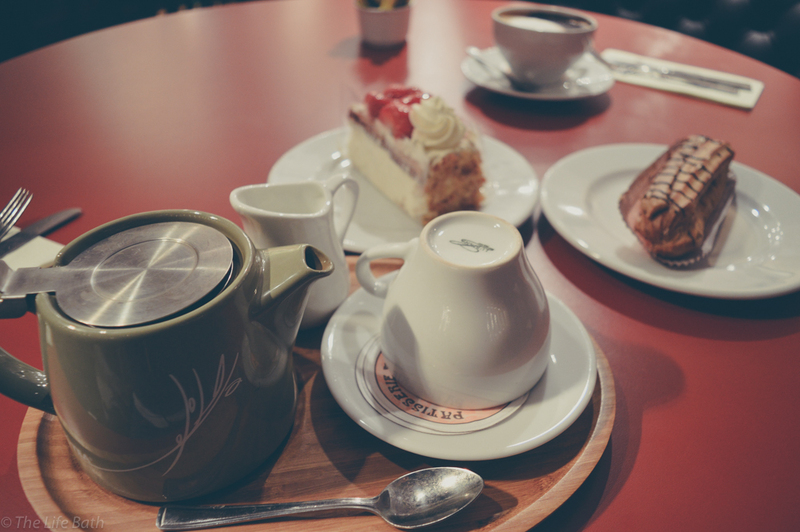 One of my favourite things to do is to go for afternoon tea and discovering new places to go is always exciting. 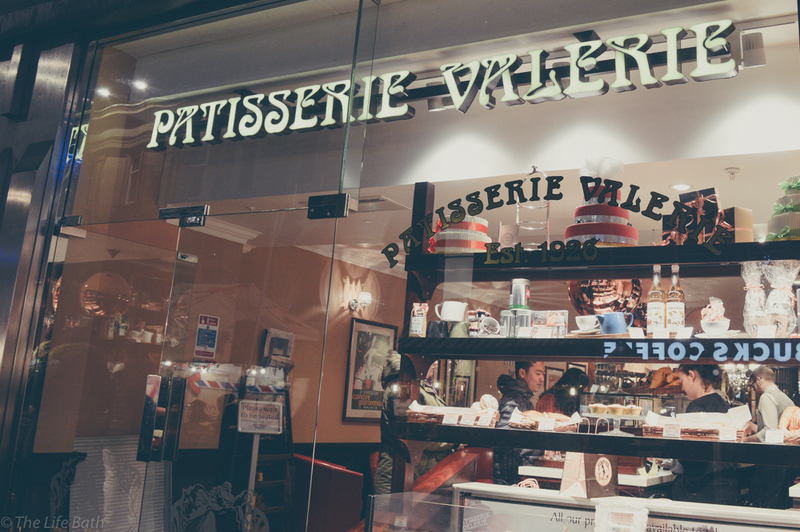 When we were at the Newcastle Christmas market we walked past a beautiful coffee shop I had not seen before, Patisserie Valerie is quintessentially french from the name to the stunning cakes in the window, so I just had to pop in and see what it was like. 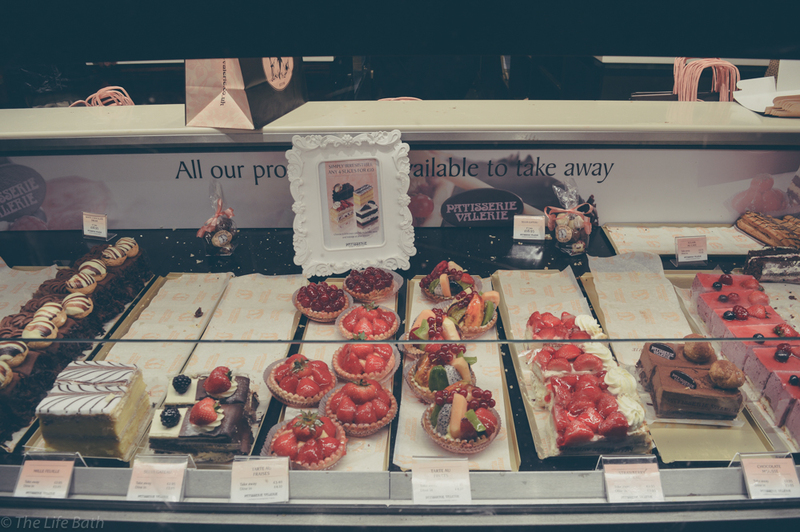 The window display makes your mouth water, we went on a very busy evening so there wasn't much left, but it all still looked amazing. It is lovely inside and has the feel of somewhere a little more luxurious than the city centre of Newcastle. The staff were really polite and impeccably dressed, they even showed us to our seat. I love that if you want to eat in it is table service, this makes it feel a little more special than a standard coffee shop. 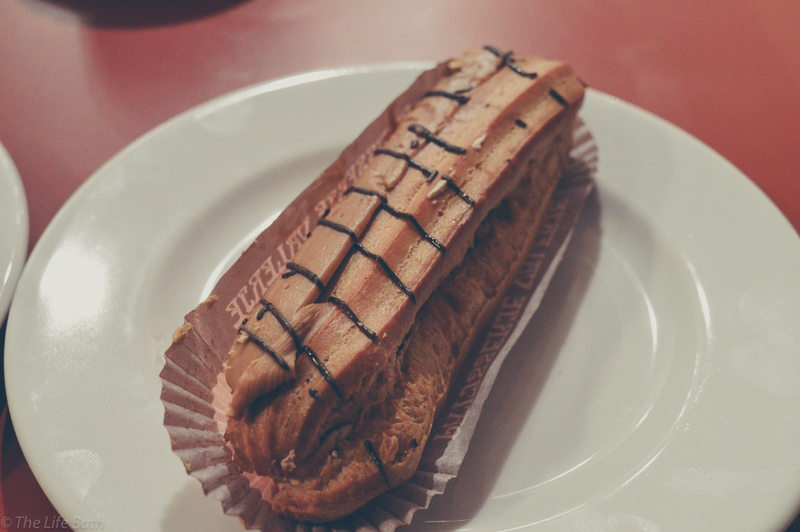 Once we sat down and perused the menu it was hard to choose what we wanted, but I settled on the strawberry gateaux and Thom had the coffee eclair which we accompanied with a tea and a cappuccino. They were both delicious and you could tell they were homemade, I could have eaten more like a complete pig but I actually mustered up some self-control. 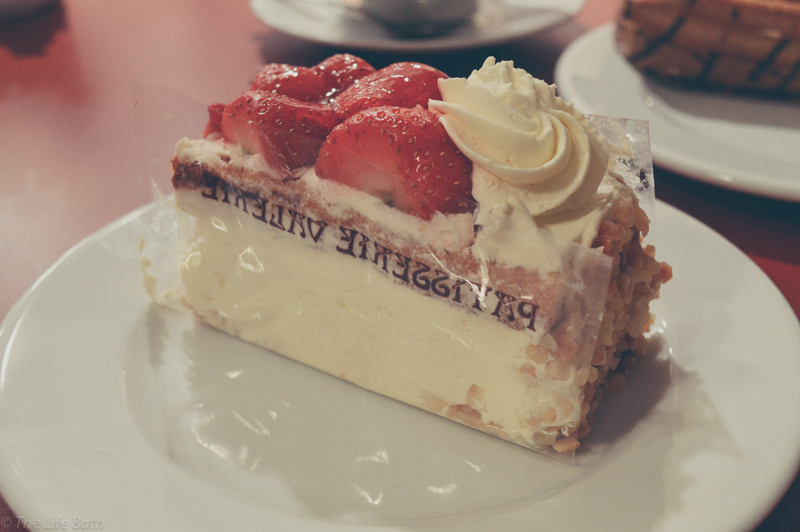 Patisserie Valerie's history is a long one, they actually were first opened in London in 1926 and it only took 70+ years to get to Newcastle, but I can advise it was worth the wait. They do afternoon tea, and even can make you wedding and special occasion cakes. 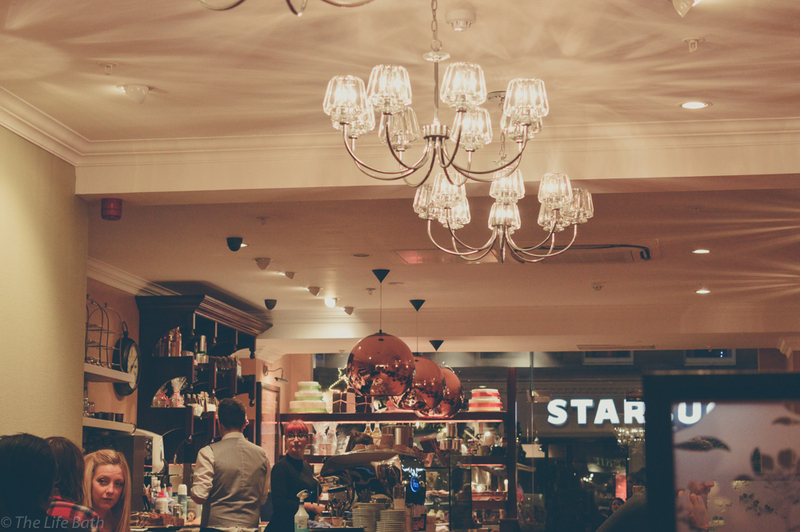 So my overall verdict is that if I am ever in town and want a coffee and a cake after shopping, or an afternoon tea at an easily accessible, beautiful location I will be choosing this one. You should go and try it for yourself, let me know if you have visited or even if you have one in your local town.